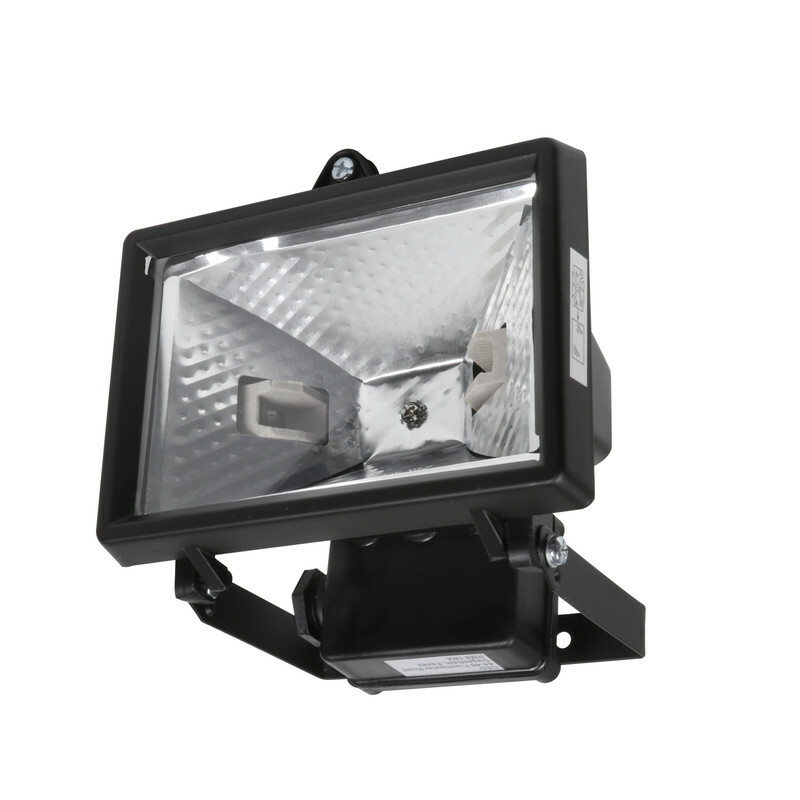 IP44 Lamp not included 120W 53806 , 400W 79518 , 1000W 26929 . 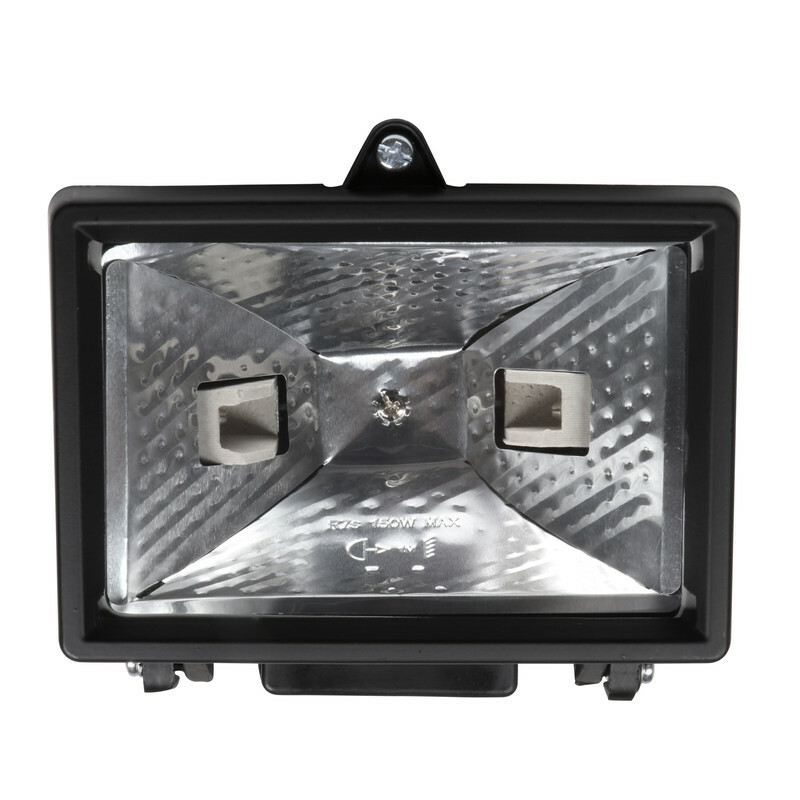 This luminaire is compatible with bulbs of the energy classes A to E.
Halogen Floodlight 120W Black is rated 4.5 out of 5 by 39. Rated 5 out of 5 by RichL from Well made Bought this to combine with a spare led lamp that I had, to improve lighting in a workshop. Works well, and is made of much heavier gauge material than I was expecting. Rated 4 out of 5 by JollyCob from handy lighting bought these recently for temporary lighting in an outdoor shed in a field run from a generator. So far all working OK and providing sufficient lighting for purpose. 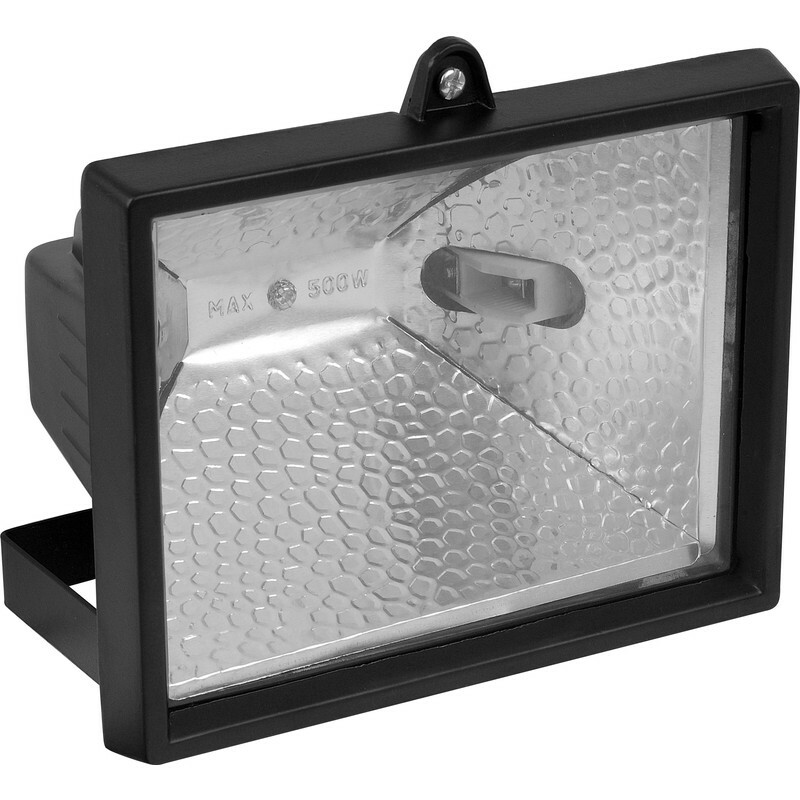 Rated 5 out of 5 by Dave 9 from Easy to fit Bought this to light up my fairly large back garden and it didn't disappoint. Just note that the picture is black but it is white as the description. Rated 5 out of 5 by Mh89 from Bargain Really good price, quality is pretty good too considering. Easy to wire. 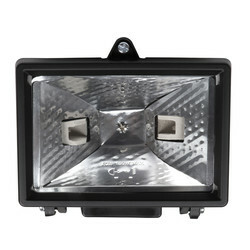 Rated 5 out of 5 by Richard Brown from 400W Halogen Floodlight Bought this to replace an almost identical floodlight. Seems robust & did the job. Knowing from experience the screw that holds the glass door shut will probably rust over time, I replaced it with a stainless steel screw & nut, thus making bulb replacement easy.